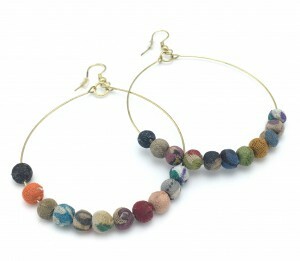 Kantha Beaded Hoops, featuring large, lightweight golden hoops with colorful beads made from recycled Kantha textiles. Colours and patterns will vary. 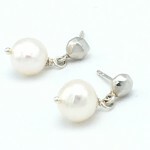 Measures 3″ from top of earring. 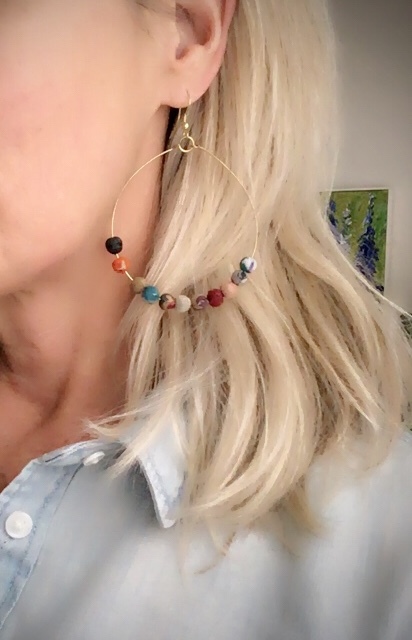 Handmade by low-income artisans in India, who are improving their lives through their work in a woman’s cooperative. 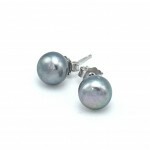 Category: Fair Trade Collection. 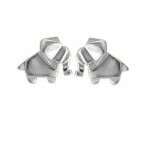 Tag: earrings. 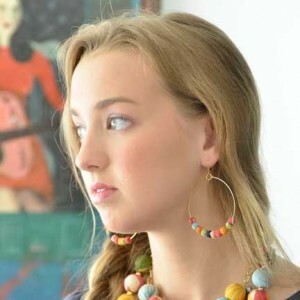 Be the first to review “Kantha Beaded Hoops” Click here to cancel reply.